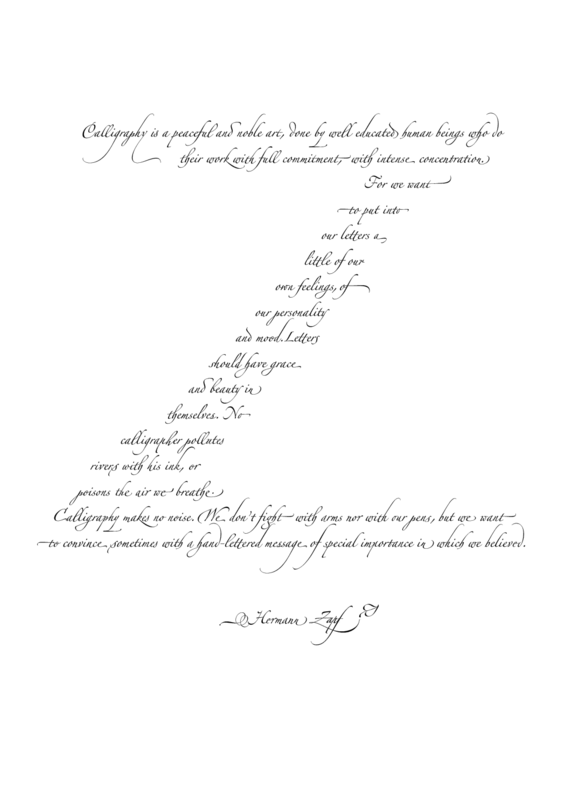 Typography and calligraphy legend Hermann Zapf died last month”). I have set type with his wonderful typefaces in a lot of my work and am especially fond of Zapfino, visual music I’ve used in various projects after it was distributed with Apple’s first version of OS X.
Goodbye, Mr. Zapf, and thank you for your beautiful work which has enriched my life and allowed me to communicate with the help of your hand. The following poster is in your honor, using your words, in your forms.